The creators of Mr. Gross Mouth, A Year’s Worth of Tar, the Deluxe Occluded Artery, and hundreds more engaging health education products. The premier provider of childbirth education resources for more than 30 years, covering preconception planning through pregnancy, labor, birth, breastfeeding, and early parenting. The healthcare industry’s leading provider of promotional and imprintable products, offering more than 750,000 items to help build positive, enduring name recognition. WRS Group, Ltd. is a family of companies dedicated to innovative 3-D displays, hands-on models, informative print products, and promotional materials aimed at improving lives through health education and awareness. WRS Group got its start in 1969 when an enterprising young doctor and pioneering anti-smoking advocate, Wayman R. Spence (WRS), MD, set out to create a new kind of health education product—one that would inspire change because it was actually fun to use. 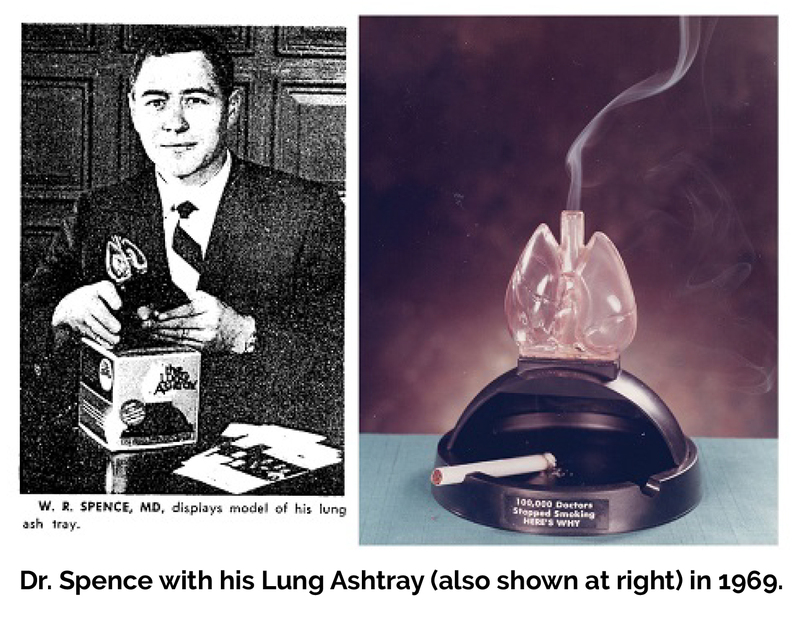 Dr. Spence’s Lung Ashtray featured a set of transparent lungs—one hollow—mounted on an ordinary ashtray. As smoke billowed up the hollow lung, a dark, syrupy deposit of tar remained behind, graphically revealing how smoking damages the lungs. An immediate sensation, The Lung Astray made national headlines, caught the attention of the tobacco industry, and persuaded thousands of smokers to kick their deadly habit. Today, WRS Group is the worldwide leader in health education. Our focus has never changed: We remain uniquely committed to the art of developing cutting-edge health and childbirth education products that are informative, inspiring—and fun. We are based in Waco, Texas with an international office in Fleetwood, Lancashire, United Kingdom. All of our proprietary products are conceptualized and designed in the United States, built with unmatched attention to detail and quality control.